Spotted: Canadian Tuxedo in Portland! 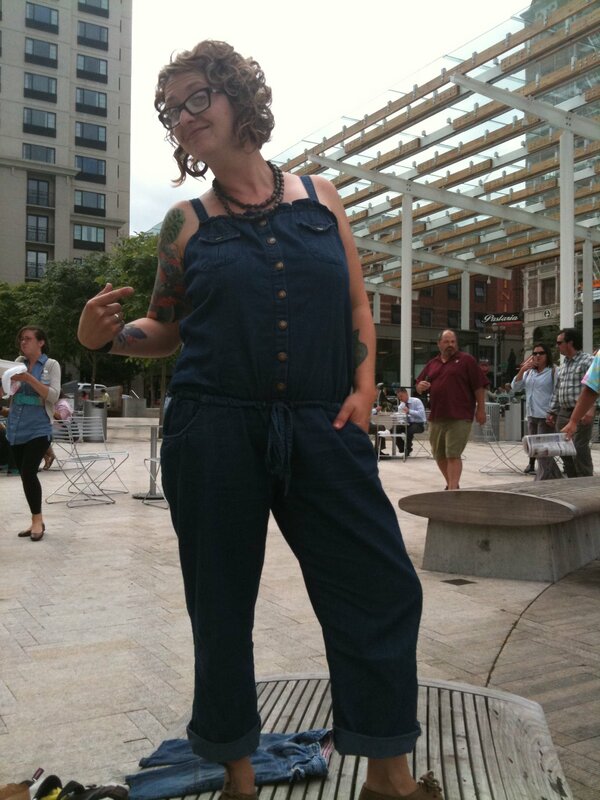 My dear friend Chris Jolliff send this picture of her girl Carrie Allen draped in denim in downtown Portland. Carrie is rocking a Chesley denim jumper she aptly calls, “a sweet little thrift store find.” We concur. This entry was posted on Monday, August 8th, 2011 at 1:14 pm	and tagged with Canadian Tuxedo, Chesley, Denim, Fashion, Oregon, Portland and posted in In The Wild. You can follow any responses to this entry through the RSS 2.0 feed.